This currency patent search page makes it easy toÂ run a currency patent search for both issued and pending currency patents. The Currency Patent search page link is in the Main Menu (above). 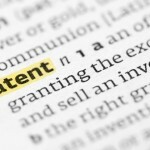 Under this link is an evolving list of currency patent search topics. Click on any one of the topicsÂ and the page will instantly display currency patents related to that topic. Alternately you can type anything you wish into the Search Bar below to see related patent search results. Your comments can influence the contents of the default search list. We have no limit on our ability to add more. New search topics will be added based on their relevance to the currency industry. Disclaimer: Counting On Currency, iMashMedia and the Editors and Contributors to this website make no representationÂ as to the validityÂ of any data displayed on this web page. Google Patent Search is used to display allÂ search content on this page. Search resultsÂ areÂ based onÂ topic keywords from the menu above, or by input from the Viewer. Proper DueÂ DiligenceÂ is theÂ responsibilityÂ of the person(s) viewing this page.